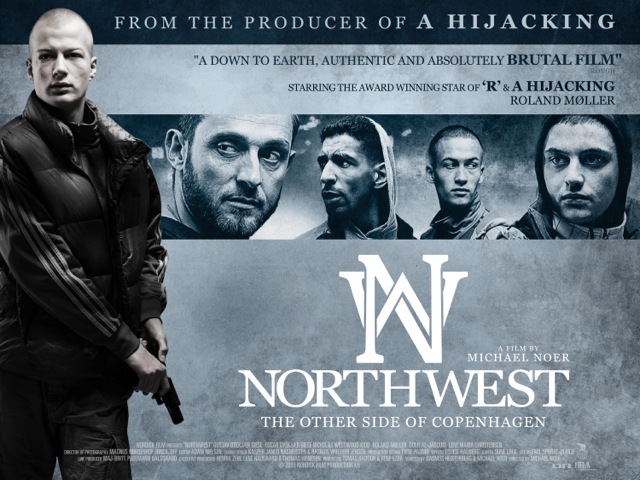 Competition: Win a copy of Nordic crime thriller Northwest on iTunes! What would you do if your childhood playground became a battleground for crime? That is what 18yr old Casper (Gustav Dyekjær Giese), faces in the notorious Nordvest suburb of Copenhagen. He commits petty theft to make ends meet, working for crime boss Jamal. But where you have crime, you have competition, and it isn’t long before a new kingpin hits Nordvest and the talented Casper gets offered a chance by a rival crime boss to make his way up the ranks. However every decision has consequences and Casper throws his family into the centre of a violent war that threatens to destroy them all. This brilliant dark drama from award-winning director Michael Noer and the producers of 2012’s critically-acclaimed ‘A Hijacking’ lifts the rock and looks underneath at the reality of the impoverished lives of many modern European cities, a gripping and brutal film. How to win a copy of nordic crime thriller Northwest on iTunes! To help celebrate the release of Northwest, we’ve got 3 iTunes download codes to to give away! The competition closes on 26th July 2014 and is open to UK residents aged 18 or over. There will be 1 winners picked from entries on geektown.co.uk or Twitter. I loved “A Hijacking” so this should be right up my “gade”.